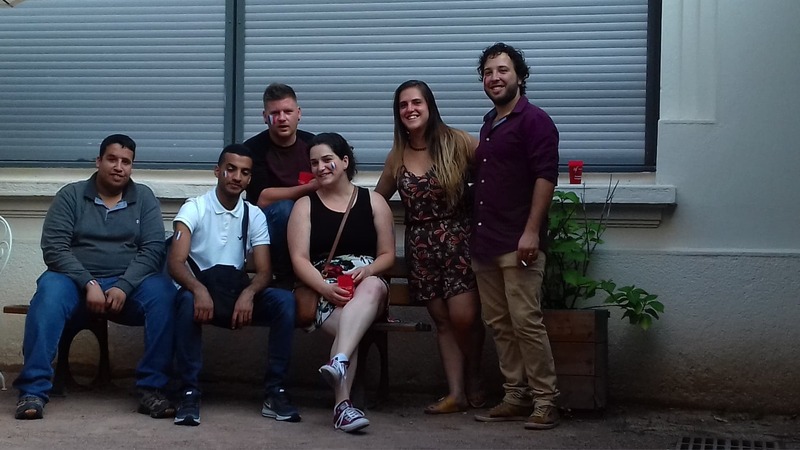 The Alliance Française de Lyon welcomes Israelis, Palestinians and Arab Israelis students who have been selected by a specific program of the organization Peace By Tourism which aims at promoting coexistence between communities through their passion for cooking and hospitality. Amit, Ben, Juliana, Majed, Mohammad and Sharon arrived at the Alliance Française de Lyon (AFLyon) in July to learn French during 2 months. 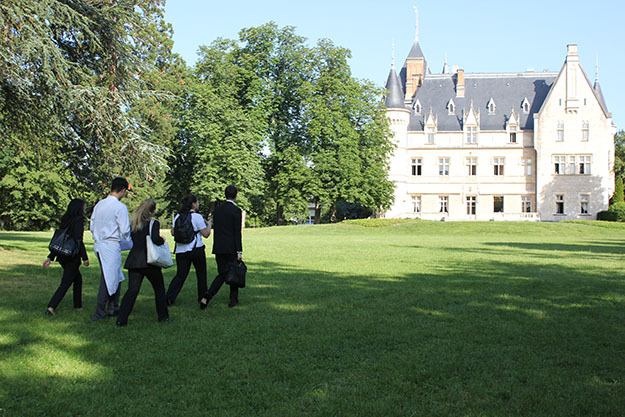 They are from Israel and Palestine and they will soon attend the renowned Institut Paul Bocuse of Lyon (PBI), where they will study Culinary Arts and Hospitality Industry for 3 years. All of them have been recruited in a program named “La Paix par la Gastronomie et l’Hospitalité” of the organization Peace By Tourism. To foster peace and understanding in the Middle East and worldwide, Peace by Tourism attempts to bridge the Israeli, Palestinian and Arab Israeli cultures by bringing together young people from the three sides for a unique professional training program. “When there is a common interest, love and passion for the same things, it becomes a bridge to overcome our differences”, explains Sharon. 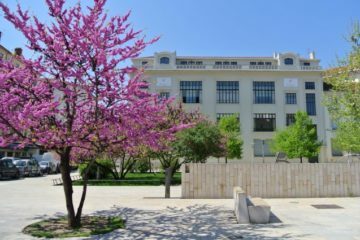 Since 2013, this organization selected every three years a group of six Israelis and Palestinians students in order to train them to Culinary Arts. “Food has the ability to make people smile, forget what’s going on around us and allow us to come together as one”, tells Amit. The recruitment process was difficult (they went through a tough selection based on their skills, sensitivities, passions and investments in promoting peace) but worthy: they all received a scholarship, which will cover their tuition fees! Before landing in Lyon, they already got the chance to meet several times, learning to know each other and becoming a real group of friends. Upon their arrival, they quickly enjoy the Lyon’s way of life: “I like Lyon very much, it’s beautiful!” says Juliana. “France is really different. Everything is clean and calm”, reveals Ben. They did not experience problems to meet people, even if they did not speak French fluently yet. Some of them already had French basic notions and after one month of courses, lots of work and motivation, they can now understand easily and take part in conversations. “We feel comfortable at the Alliance Française and the teachers really help us” states Majed. Their courses at AFLyon are ending and they will soon attend the IPB. During their training, Peace by Tourism will ask them to prepare several important and prestigious dinners. The first one will take place in Lyon for the three representatives of the three religious denominations: Christian, Jew and Muslim. “Cooking bridges gaps and bring people together. During dinner, relations are forged – good food brings good discussions,” explains righteously Mohammad. At the end of their studies, they will have to go back to their countries to train 30 young Israelis and Palestinians in cooking during an entire week. This weeklong training aims at getting cultures closer, discovering Culinary Arts, meeting up with local players and above all preparing a common dinner to all the families of the students.